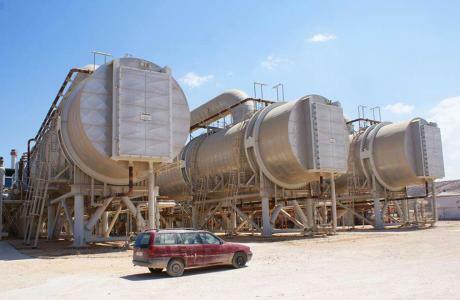 A minor leak in the main water pipeline that pumps water to the city of Tobruk may lead to the shutdown of the only source of water in the city, Press Solidarity quoted the director of Tobruk Water Desalination Plant Fathallah Saleem as saying on Saturday. "If the leak is not repaired, we will be forced to close the plant due to our financial inability to purchase maintenance materials and spare parts necessary to maintain the line." Fathallah said. Fathallah added the maintenance workers would start repairing the damaged pipeline after the needed materials and spare parts were bought on credit and an official promise has been made to pay the value to the dealer when the TDP gets the needed cash form the government. He also declared that a water leak occurred in the same pipeline three months ago and promises have been made by the government to solve the problem but their promises have not been fulfilled. "Last year the plant stopped working for nine days but we did not announce it because we did not want to disturb the locals, and we used our simple equipment on hand to solve the problem temporarily." Fathallah revealed. Tobruk depends on desalinated water as its groundwater is saline.